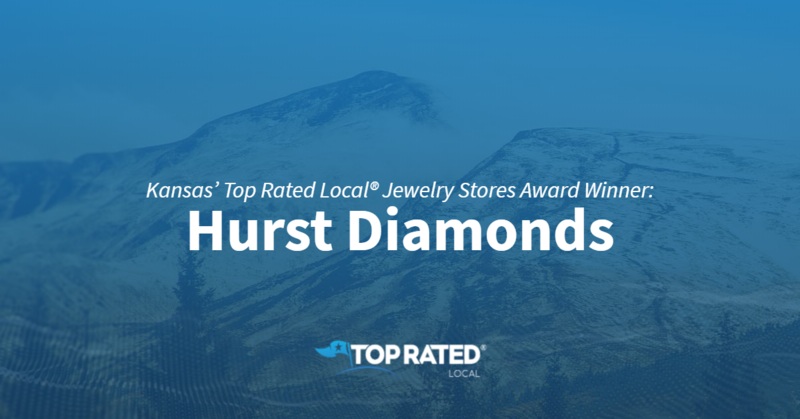 Top Rated Local® is pleased to announce that Hurst Diamonds is a 2019 award winner for jewelry stores in Kansas! Whether you’re looking to buy an engagement ring for that special someone or you need jewelry repair, there’s no better jewelry store to turn to in Lawrence than Hurst Diamonds. Hurst Diamonds has received hundreds of reviews on five verified sites with an average rating of 4.90 stars, earning them a fantastic Rating Score™ of 99.99 and two 2019 Top Rated Local awards — one for ranking among the top 100 businesses in Kansas and one for ranking among the top 10 jewelry stores in Kansas! “This location is the best! My husband and I do all our jewelry purchases from them. They are knowledgeable, courteous and experienced. We’ve never once felt pushed into a purchase and have never regretted our purchases through them. They have earned us as lifelong clients!” – Rebecca K.
Michael, the owner of Hurst Diamonds, generously gave us a few minutes of his time to tell us about his award-winning business and its impeccable online reputation. Michael credits Hurst Diamonds’ strong online reputation to the fact that they love their customers and always treat them like they would want to be treated themselves. Outside of building a powerful online reputation, Hurst Diamonds gets their business from direct mail, word of mouth and social media marketing through Madwire. Congratulations to the team at Hurst Diamonds for being a 2019 Top Rated Local award winner, and thank you so much, Michael, for taking the time to speak with us! We highly recommend Hurst Diamonds for all of your jewelry needs in Lawrence. Visit their website today!